Emotions, Own them, Use them. 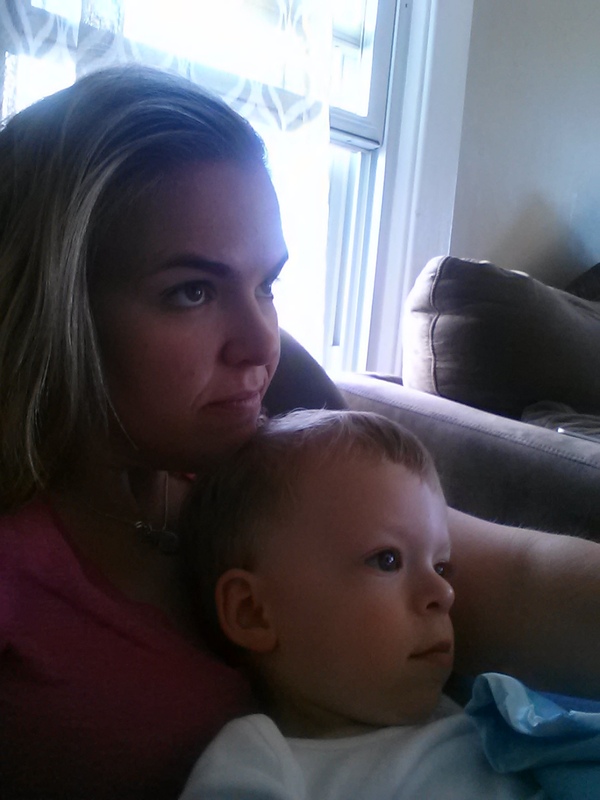 I was given the distinct honor and pleasure of guest blogging over at Mommy Mentionables today. Melanie’s site is helpful to new moms, seasoned moms, and bloggers looking for tips and ways to improve their sites. Please take a second and check her out! Tell her I sent you! So I have this friend. This AMAZING friend Jamie. We met on this fancy thing here we like to call the internet. We met through a support board for families of individuals with Williams Syndrome. Her daughter, Norah, is about 4 months older than Evan and I just adore her. We have gotten to know each other through Facebook private messaging, text, and phone calls. Whenever I am feeling doubtful about something, or I am worried about Evan’s development, I don’t google it, I send Jamie a message. She is one of those people who just “get it.” And not only does she “get it,” but she also gives incredible advice that sounds like it should be coming from a woman far beyond her years. I call her Obi Wan on the message boards because her responses to posts are always so thoughtful and…well, wise. Can’t think of a better word for them. I have heard over and over about how working is a part of who I am. Being a teacher is sort of part of my genetic code, as much as missing the elastin gene is part of Evan’s. I have felt that myself at times when I missed standing up in front of a classroom. I actually think my true love is theater, children’s theater primarily, and being a teacher is sort of a form of that. (sometimes….) But since staying home for the extra year with Evan, I have become very comfortable in my role as mother, therapist, housekeeper, paperwork filler-outer, etc. I like being the one who knows the most about Evan. It feels right somehow. But we also knew as a family that I needed to go back to work for financial reasons currently and in the future. Hence the transition period we are currently in. But what Jamie said felt so incredibly helpful to me. It gives me permission to feel sad when I walk up the ramp of his school on Tuesday to my car and feel the sting of tears that I know will come. To feel exhilarated when teaching a new skill to my students in a few weeks and knowing they are “getting it.” To feel anxious when I think of Evan taking a nap on a mat for the first time, and wondering how he will do with the other children, will he interact? Will they be frustrated by his speech patterns? Will they love him? Permission to feel excited to see the students I left for maternity leave as second graders who are now fifth graders. To feel comfort in the hugs of my staff family who have gone through what I am going through before. I like that concept. Owning my emotions. The good, the bad, and the ugly. Own them and use them. Use the sensitivity I have as a mother of a child with special needs to better understand the parents of my students. Use the sadness I feel from missing Evan eat his lunch or play on the playground to be a better mom to him when I DO have time with him. Make it count. Love what you love and miss what you miss. It is all part of the package of being a working parent. Hoping I can heed my own advice in the coming months.